It is not possible to overstate the overemphasis on critical thinking in higher education. I have been to faculty meetings devoted to defining curricular goals. The discussion quickly becomes intense. The scientists want fact-based knowledge; the humanists insist on interpretation and cultural literacy; meanwhile, the psychologists and sociologists have their own priorities. No one can agree on a particular body of knowledge, but soon enough a consensus emerges. We are all committed to “critical thinking.” As a faculty group at Columbia University put it recently, “The university cultivates a critical and constantly questioning consciousness.” The working assumption is that the well-educated mind is expert in rooting out falsehoods. This requires what educators refer to as “critical distance.” Students need to “step back” from convictions so as to weaken their hold on their imaginations, thus making room for cool, dispassionate analysis. This seems an educational gain. But critical thinking on its own fails to train our reason toward its proper end, which is assent to truth. Experts in rooting out error, our educational culture’s commitment to critical thinking as the highest good risks making us incompetent in the art of affirming as true what is true. The pedagogical approaches that give priority to critical thinking inculcate a guilty-until-proven-innocent mentality. 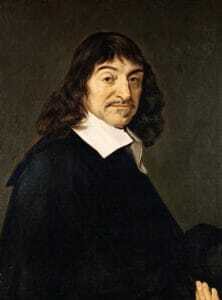 We find this in the seventeenth-century French philosopher René Descartes. He was dissatisfied with what he learned as a student, which in his view amounted to a jumble of barely consistent teachings. He could have revised and modified his inherited knowledge, criticizing here and reformulating there, much as owners of medieval houses adapted and added to buildings over the years. This approach did not satisfy Descartes. Better, he says, to demolish and build anew. So he adopts his famous method of skeptical doubt, presuming all his beliefs to be false unless he can prove them to be true. Descartes, writing in the seventeenth century, describes his skeptical stance in ways that are now very much a part of contemporary pedagogy. First, he draws attention to cultural diversity: “In my travelling, I found out that all those who have views very different from our own are not therefore barbarians or savages, but that several use as much reason as we do, or more.” Then Descartes points out the fact of historical change. Fashions change, and what today’s generation thinks essential the next thinks absurd. These basic strategies—challenging inherited assumptions by showing cultural diversity as well as historical development—play a central role in today’s approaches to higher education. We use other methods as well. The standard way to teach ethics is (wrongly) called Socratic. The teacher assigns articles on abortion, pro and con, on the death penalty, pro and con, on vegetarianism, pro and con. 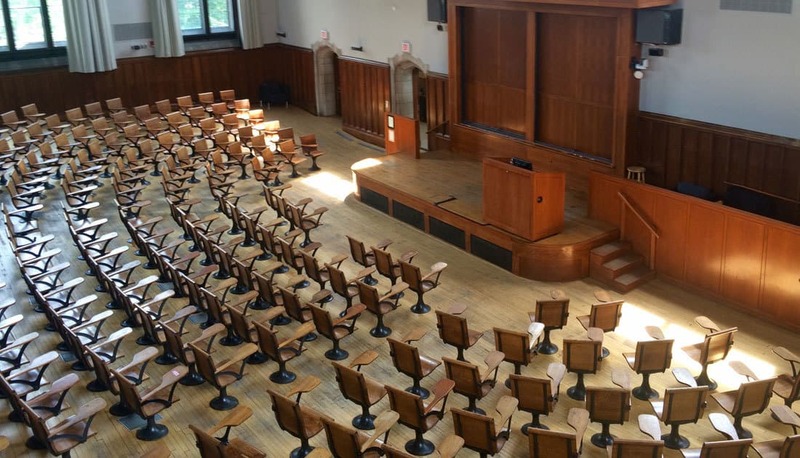 Colleges and universities justify the shocking extremism of professors or visiting speakers by saying that they raise questions that stimulate thought and debate. Having someone talk about the legitimacy of killing newborn children—after-birth abortion, as a recent article put it in a mainstream journal of medical ethics—is supposed to help us think more deeply and responsibly by challenging our assumptions. Again and again we are encouraged to do as Descartes did, which is to demolish our inherited house of knowledge so as to rebuild it in reasonable, reliable ways. But not much gets rebuilt. “I have resolved to go slowly,” Descartes writes, “and to use so much circumspection in all matters, that if I only advanced a very short distance, at least I would take great care not to fall.” We do not go much farther today. In the main, the modern university is a place where fear of error outweighs a desire for truth. We have developed an intellectual culture of exaggerated circumspection in which, for the most part, large truths are questioned and only small truths affirmed. This is inevitable if we give priority to avoiding falsehood. John Henry Newman recognized the value of critical reason or what he sometimes called “strict reason.” We should take care to parse arguments, examine premises, and test hypotheses. Moreover, we do well to be conscious of the remarkable historical and cultural variation in the human experience. In each instance we can be brought up short, pulling back from error. But this is not enough. As Newman observed, following Pascal, the certainty of a truth is inversely proportional to its significance for us. The larger, more existentially engaging questions of God, the soul, and the meaning of life do not admit of answers that have the near mathematical certainty Descartes thought necessary for his new house of knowledge. For this reason, Newman concluded that strict reason is critical, not creative. Its methods “will pull down,” he writes, “and will not be able to build up.” Critical consciousness clears away the underbrush of error—which is a very good thing to do—but it cannot plant the seeds of truth; it burns away the weeds but does not fertilize the fields. The pedagogy of critical thinking trains us to hesitate, interrogate, and withdraw our assent. It cools the passion of our belief. But existentially important questions are intrinsically hot. We are engaged by the big questions, and the cool distance required by critical reason tends to make answers seem remote and inaccessible. This accounts for why our overemphasis on critical thinking in education has led to an intellectual culture of expertise without wisdom. Trained to question, we are poorly prepared in the art of answering. Critical thinking has taken on a further, drier and more spiritually enervating meaning in recent decades, one more associated with critique than criticism. Rather than an initial, ground-clearing move, deconstruction never ends (“a critical and constantly questioning consciousness,” as the Columbia professors put it). Today, I would submit, critical thinking becomes an end-in-itself for many educators, perhaps most. This is critical pedagogy in its purest form. Students are to learn to think critically about culture, not to think within a culture. They stand at a distance—forever. Instead of rebuilding the house of knowledge as Descartes would have us do, postmodern students get initiated into cultural theory. The humanities have become disciplines in which our culture-making activity is analyzed—thus “cultural studies” rather than the humanities. Rather than learning how to live responsibly within a house of knowledge, inherited or newly built, we are now trained to be technocrats of culture, learning how houses of knowledge are built: as expressions of will-to-power, as reflecting class interests, by way of suppressing difference and otherness, as the circulation of sexual desire, etc. I do not want to go into these theories. Instead, I want to emphasize how they encourage distance, coolness, and irony, qualities of the soul very similar to what the Church Fathers called sloth or acedia. These qualities, now widely encouraged by postmodern education, contribute to a larger ideal, one cherished by ancient Skeptics and Epicureans. They found it liberating to know that there are no true answers to big questions. The ancient Skeptic Sextus Empiricus believed that for every argument there is an equal and opposite counter-argument, so there is no way to know the truth. Many think this relativism a horrifying conclusion. But he thought otherwise and taught his followers that relativism is a gospel, good news, because it allows them to attain a calming indifference to the big questions of life. The Epicureans attained a similar peace of mind. Like present-day materialists who catechize their students to believe they have no souls, they were convinced that all reality can be reduced to simple, inert, and aimless atoms. This reductionism was seen as a liberating truth, in much the same way as relativism reassured the ancient Skeptics. Released from the long, painful, and always uncertain search for truth, we attain ataraxia, the absence of disturbance, or put more positively, calm and peace of mind. This release is a grace, a salvation, as it were. For when we know that there are no higher truths, we can get on with just living our lives. The gospel here is the freedom from truth, or at least freedom from the strong truths that bind our souls. Promoting this gospel has become an important goal of postmodern education in the West. This reflects an important change. 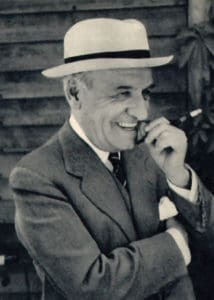 Nearly a century ago, the Spanish philosopher José Ortega y Gasset observed that from time immemorial men have bent themselves to conform to ideals. To live well or beautifully or righteously was to live in accord with something higher. Voices of dissent from inherited ideals and established dogmas emerged during the so-called Axial Age, the centuries before the time of Christ. But this dissent and criticism sought to perfect and purify rather than subvert or diminish the authority of something higher. The prophets of Israel provide an example, as does Socrates. In these and other instances, the basic assumption about the human condition remains constant: we are created to serve that which is greater, and the highest use of reason purifies rather than subverts or diminishes our obedience to it. This paradoxical ideal—to be untroubled and undisturbed by urgent feelings that one should be devoted to something greater, to be undisturbed by piety—is ministered to by our present academic consensus that critical thinking is the cardinal intellectual virtue. As critical thinking defuses, disenchants, and distances, it neuters the claims that romance our souls and arouse our impulse to believe. And in so doing, it educates us to expect and be satisfied with very little. A culture of critique tells us that having little, believing little, is a kind of salvation. In a startling passage, Newman writes, “I would rather have to maintain that we ought to begin with believing everything that is offered to our acceptance, than that it is our duty to doubt everything. The former, indeed, seems the true way of learning.” Of course we do not face such a stark choice: believing or doubting everything. But Newman makes a crucial point. Our souls are made for knowing. Doubting, however useful as a check on false belief, cannot move the soul toward true knowledge, since by definition it subtracts rather than adds, pushes away rather than draws near. True learning needs to move in the other direction. To know, especially to know remote and difficult truths, requires us to venture assent. As a great Dominican of the early twentieth century, A. G. Sertillanges, wrote, “We must give ourselves from the heart if truth is to give herself to us,” for “truth serves only her slaves.” What we need, therefore, is a pedagogy that gives priority to piety, not critical thinking. Piety in this context does not mean religious faith in the Christian sense. Instead, I have in mind the ancient virtue of pietas, the disposition of grateful loyalty to one’s family and city. Pietas cherishes its inheritance, seeking to add to it and pass it down to those who come after. We can import this virtue into education, where it means encouraging in students (and ourselves) a proper disposition toward assent first and foremost, not doubt. A pedagogy of piety does not endorse credulity. It does not entail indoctrination. Instead, it seeks to encourage in us a freely chosen matrimony to ambitious truths. Ancient philosophers like Plato recognized the need for a pedagogy of piety that excites in us a desire to know and affirm that which is true. This is not easy, because higher truths are elusive. “In the world of knowledge the idea of the good appears last of all,” he writes in the Republic, “and is seen only with effort.” Against the background of this difficulty, he emphasizes the important role of mathematics (and music, which ancients thought of in mathematical terms) in the education of the Guardians, the lovers of truth who should rule the ideal city. The reason for mathematics (and music) is two-fold. The wise educator knows we need foretastes of the pleasure and joy of a fuller knowing. We are aroused when we feel the force of a geometric proof, relishing the power of mathematical truths, and this motivates us to seek still greater truths. We also need to savor truth so as to become familiar with its taste, as it were. A proper habituation of our natural desire to give ourselves to truth helps us to distinguish between true and false beliefs. That is why Plato prized the abstraction and universality of mathematics. He regarded those qualities as fitting preparation for apprehending the forms, which are abstract and universal. I am more inclined to emphasize history and literature. They fix our attention on the concreteness and particularity of the real, preparing us to discern truth in the stream of history, which is where we are destined to live. But the pedagogy of piety remains the same. Philosophy—the love of wisdom—may involve critical thinking, but it requires a pious mind first and foremost. We become lovers of truth not by ferreting out error but by learning to relish, affirm, believe, and embrace. Sertillanges again: “Truth visits those who love her, who surrender to her.” For the life of the mind the training, refinement, and purification of our capacity for nuptial embrace is of first importance. Higher education has been taken captive by critical thinking and critique. This pedagogical approach will be difficult to escape, but we can if we affirm the priority of piety. As a young professor I too was bewitched. I used the pseudo-Socratic, pro-and-con approach, thinking that the ideal teacher presents various points of view, with scrupulous objectivity, so that his students would not know what he really believes. Slowly, I came to see that I was doing more harm than good. Irony and distance are pervasive today. I was training my students in how not to believe, which only reinforced their skepticism and relativism. Slowly I changed. The lecture hall is not a church, so I did not preach. But I began to order my courses toward a conclusion. Yes, we considered objections, historical context, and other factors. And, yes, poorly formed arguments were criticized and various errors dissected. But these elements of critical thinking became part of a semester-long argument I tried to make about what is, finally, true. I cannot say I succeeded as often as I would have liked. Moreover, what success I had was not grand. The higher truths that illumine our lives are elusive. Often the professor and students must be satisfied with the hard task of getting Augustine right rather than settle deeper questions of whether he is right. But this is entirely fitting, for learning how to affirm a true reading of a great thinker like Augustine becomes a foretaste of what it means to use our reason responsibly to affirm the deep truths about which he writes. To teach toward assent, however modest, is to undertake a pedagogy of piety. No student is well served by critical thinking as an end-in-itself. Unbelief may be pure, allowing us to compliment ourselves that we are undeceived, but it is finally sterile and empty. By contrast, although belief risks error, it makes an embrace of truth possible. This is why the Catholic tradition has long seen the Virgin Mary as the patroness of true philosophy. She gives herself over to the service of God’s Word, and she does so without reserve: “Let it be with me according to your word.” She ventures her entire self, which is precisely what makes the lover of truth a lover. The intellectual life is different from the spiritual life. Our tradition has long been self-critical, and rightly so. Inspired by the examples of Socrates and the ancient prophets of Israel, we have inherited an intellectual culture that teaches us to interrogate and question rather than to abandon ourselves in perfect obedience. Yet the critical moment is not primary; it cannot be primary in a living culture of truth. Piety is more fundamental, and what we need today is a pedagogy of piety. We need something of the spirit of the Virgin Mary’s self-abandoning trust. Only a Marian spirit prepares our hearts for wisdom. Truth serves only her slaves. 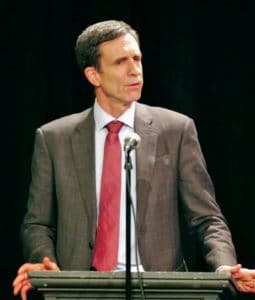 R. R. Reno has served as the editor of First Things, America’s most influential journal of religion in public life, since 2011. He received his Ph.D. in theology from Yale University, and taught theology and ethics at Creighton University for twenty years. He has published in many academic journals, and his opinion essays have appeared in Commentary, National Review, the Washington Post, the New York Times, and other popular outlets. His most recent books include Fighting the Noonday Devil, Sanctified Vision, and a theological commentary on the Book of Genesis.